Dingsplatz! What's that? 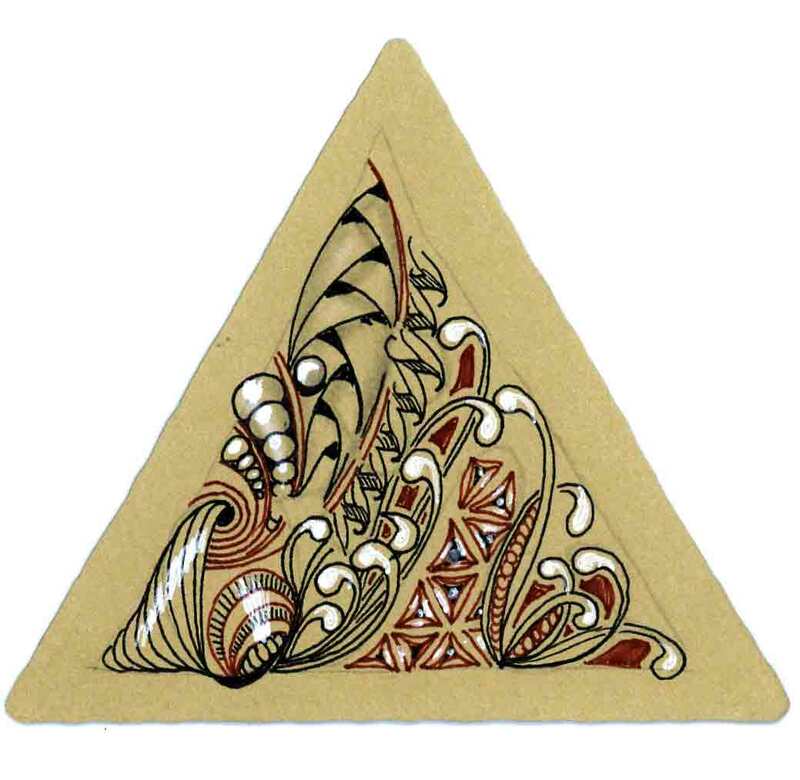 It's something new from Zentangle headquarters. 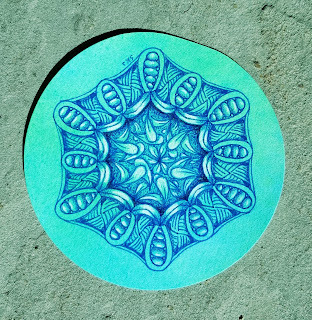 Maria created a video about the technique and shared it with Certified Zentangle Teachers first (one of the perks!). If you've heard about Dingbatz, it's got certain similarities but in a circular fashion. If you want more info, find a local CZT or wait until the video is eventually released to everyone. My Dingsplatz was done on one of my handcolored tiles. I used a blue Sakura Micron Pigma pen. The shading was done with colored pencils and highlights were added with a white chalk pencil. Dingsplatz are fun! I can see doing lots more in my future!